Private funding isn’t enough to offset the president’s proposed budget cuts, they say. The work of a scientist is often unglamorous. Behind every headline-making, cork-popping, blockbuster discovery, there are many lifetimes of work. And that work is often mundane. We’re talking drips-of-solution-into-a-Petri-dish mundane, maintaining-a-database mundane. Usually, nothing happens. Scientific discovery costs money—quite a lot of it over time—and requires dogged commitment from the people devoted to advancing their fields. Now, the funding uncertainty that has chipped away at the nation’s scientific efforts for more than a decade is poised to get worse. The budget proposal President Donald Trump released on Thursday calls for major cuts to funding for medical and science research; he wants to slash funding to the National Institutes of Health by $6 billion, which represents about one-fifth of its budget. Given that the NIH says it uses more than 80 percent of its budget on grant money to universities and other research centers, thousands of institutions and many more scientists would suffer from the proposed cuts. This can’t be all bad, can it? Given the culture of competition in Silicon Valley, where world-changing ideas attract billions upon billions of dollars from eager investors, and where many of the brightest minds congregate, we may well be entering a golden era of private funding for science and medicine. Along with the business side of science, the world’s tech leaders have built a robust philanthropic network for research advancement. The Bill & Melinda Gates Foundation is a major force in the prevention of infectious diseases, for example. Last year, the Facebook founder Mark Zuckerberg launched his own foundation—with his wife, Priscilla Chan, who is a pediatrician—aiming to help “cure, prevent or manage all diseases in our children’s lifetime.” Between those two initiatives alone, billions of dollars will be funneled to a variety of crucial research efforts in the next decade. But that amount still doesn’t approach $26 billion in NIH research grants that are doled out to scientists every year. For about a decade, stagnant funding at the NIH was considered a serious impediment to scientific progress. Now, scientists say they are facing something much worse. I asked more than a dozen scientists—across a wide range of disciplines, with affiliations to private schools, public schools, and private foundations—and their concern about the proposed budget was resounding. The consequences of such a dramatic reduction in public spending on science and medicine would be deadly, they told me. More than one person said that losing public funding on this scale would dramatically lower the country’s global scientific standing. One doctor said he believed Trump’s proposal, if passed, would set off a lost generation in American science. “Where do I start?” said Hana El-Samad, a biochemist at the University of California, San Francisco, School of Medicine and an investigator in the Chan Zuckerberg Biohub program, one of the prestigious new privately funded science initiatives in Silicon Valley. In her research, El-Samad analyzes biological feedback loops, studying how they work so that she can predict their failure in diseases. Private funding, on the other hand, is often narrowly focused. Consider, for example, Elon Musk’s obsession with transporting humans to Mars. The astronaut Buzz Aldrin told CNBC this week that Musk’s plan may be well-funded, but it’s not very well thought out—and that cheaper technology isn’t necessarily better. “We went to the moon on government-designed rockets,” Aldrin said. Even if Musk’s investment in SpaceX does represent a world-changing scientific effort—it’s not enough by itself. “Funding like the Chan-Zuckerberg Initiative is fantastic and will be transformative for Bay Area Science,” said Katherine Pollard, a professor at the UCSF School of Medicine and a Chan Zuckerberg Biohub researcher who studies the human microbiome. “But the scope and size of even a large gift like this one cannot come close to replacing publicly supported science.” The unrestricted research funding she’s getting as part of her work with the Chan Zuckerberg program is “still only 10 percent of what it costs to run my lab,” she said. And what happens to all the crucial basic science without billionaire backing—the kind of research with wide-ranging applications that can dramatically enhance human understanding of the world? NIH funding is spread across all disciplines, several scientists reminded me, whereas private funding tends to be driven by the personal preferences of investors. Plus, scientific work is rarely profitable on a timescale that delights investors. The tension between making money and making research strides can result in projects being abandoned altogether or pushed forward before they’re ready. Just look at Theranos, the blood-testing company that was once a Silicon Valley darling. As The Wall Street Journal reported last year, even when the company’s technology hadn’t progressed beyond lab research, its CEO was downplaying the severity of her company’s myriad problems—both internally and to investors. Its fall from grace—and from a $9 billion valuation—is a stunning and instructive illustration of where private and public interests in scientific research can clash. But also, in a privately-funded system, investor interest dictates the kind of science that’s pursued in the first place. America’s enduring scientific greatness rests largely on the scientists of the future. And relying on private funding poses an additional problem for supporting people early in their careers. The squeeze on public funding in recent years has posed a similar concern, as young scientists are getting a smaller share of key publicly-funded research grants, according to a 2014 study published in the Proceedings of the National Academy of Sciences. In 1983, about 18 percent of scientists who received the NIH’s leading research grant were 36 years old or younger. In 2010, just 3 percent of them were. Today, more than twice as many such grants go to scientists who are over 65 years old compared with people under 36—a reversal from just 15 years ago, according to the report. The cuts are not a done deal, of course. “Congress holds the purse strings, not the president,” said Senator Brian Schatz, a Democrat from Hawaii and a member of the Appropriations Committee, in a statement. In the meantime, there’s a deep cultural question bubbling beneath the surface of the debate over science funding, one that seems to reflect a widening gap in trust between the public and a variety of American institutions. A Pew survey in 2015 found that more than one-third of people said they believed private investments were enough to ensure scientific progress. And while most people said they believed government investment in basic scientific research “usually” paid off in the long run, other research has showed a sharp decline in public trust in science—notably among conservatives. This erosion of trust means that the politicization around specific areas of scientific inquiry, like climate change and stem-cell research, may have deep consequences for scientific advancement more broadly. El-Samad, the biochemist, describes this dynamic as the weakening of a social contract that once made the United States the scientific beacon of the world. In her view, there is something almost sacred about using taxpayer dollars to fund research. ADRIENNE LAFRANCE is a staff writer at The Atlantic, where she covers technology. She was previously an investigative reporter for Honolulu Civil Beat, Nieman Journalism Lab, and WBUR. This entry was posted in Uncategorized on March 20, 2017 by bfl2013. On a blistering summer afternoon in Tucson, Arizona, nearly 11 years ago, a truck driver named Carl Koch stood near the back of his tanker as it was being filled with molten tar at an asphalt plant. Suddenly a hose connection broke loose, spraying him with hot, gooey liquid. Blobs of 300-degree tar hit Koch, 36, on the right side of his face and ear, and adhered to his right arm, causing first- and second-degree burns. The pain was so severe that doctors had to give him several doses of morphine. Koch’s burns eventually healed, but more than a year after the accident, he complained that he continued to feel pain in his right arm, which prevented him from working or helping around the house. He sued his employer, Western Emulsions, for damages, claiming that the nerves beneath his right arm never fully healed, and that he suffered from chronic neuropathic pain. The company’s attorney alleged that Koch was faking. Koch’s lawyer, Roger Strassburg, needed to prove that his client really was in pain. But that was going to be tough. There was no such thing as a pain meter to measure or confirm its existence. Pain is subjective, its sensations and intensity known only to the person experiencing it. Functional magnetic resonance imaging is used to measure activity in the brain by detecting blood flow. When certain parts of the brain are active, blood flows to those regions and can be detected by the scanner through a complex process in which the scanner’s powerful magnet tracks blood oxygen levels. Researchers have been using fMRI to test theories that they could pinpoint locations in the brain that become active with pain. Roger Strassburg. Photograph by Bob Torrez. While some early studies identified areas of the brain that became active when people experienced pain, the research was far from definitive. Still, Strassburg was willing to give fMRI a try. “I think I must have called every fMRI lab in the country,” he says. The labs kept turning him down, until he reached Joy Hirsch, then a professor in the departments of neuroscience, radiology and psychology at Columbia University in New York City and director of its fMRI research center. One of Hirsch’s specialties was mapping the brain for neurosurgeons so they could avoid damaging essential functions during surgery. Hirsch told Strassburg that she would scan Koch’s brain at no cost because she was interested in the case as a scientist. Strassburg arranged for his client to visit New York. Chronic pain is a national public health problem and an expensive one. It’s typically characterized as pain that’s persistent and lingering, as opposed to acute pain, which is sudden and sharp. Chronic pain often continues after injuries have healed, lasting for months or years, and can be debilitating. According to a 2011 report from the Institute of Medicine, about 100 million Americans suffer from chronic pain, costing society as much as $635 billion annually for everything from health care expenses to lost productivity at work. Pain is frequently cited as a factor in assessing damages in personal injury litigation and workers’ compensation cases, and can significantly boost the size of awards, depending on its severity. That’s where things get tricky. Because there are no standardized or widely accepted diagnostic tools that can accurately or objectively measure pain, lawyers can easily challenge it. Patients are usually asked to rate their pain on a scale of 1 to 10 and sometimes are shown a poster of cartoon faces whose expressions indicate the severity of pain. The problem is that one person’s 5 might be another’s 10. Some people do indeed exaggerate pain, which leads defense lawyers to be initially suspicious of claims for damages. It’s also the reason many physicians are cautious about how they treat pain, concerned that they might be complicit in creating or feeding addictions to painkillers for those who may not really need them. Joy Hirsch. Photograph by David Fonda. Because of the magnitude of chronic pain’s impact, researchers have been seeking ways to better identify, understand and treat it. Neuroscientists in particular have been working to identify patterns of brain activity associated with pain that might help lead to better targeted treatments. But personal injury lawyers see another potential value to neuroscience—as a way to document their clients’ pain if and when it might be contested. The problem, many scientists say, is that the research, while showing much promise, is still in its nascent stage. In May 2007, nearly two years after the tar accident, Koch met with neuroscience specialist Hirsch and prepared to have his brain scanned with an fMRI machine while performing simple motor tasks. Hirsch took images during tests in which Koch squeezed a rubber ball using his right hand (the injured, painful side) and his left hand. The theory was that the images would show patterns of brain activity associated with pain when the right side was stimulated, but not the left. Hirsch explained in her report that functional brain mapping is based on the fundamental principle that specific functions and sensations are mediated by specific regions of the brain—including visual, sensory and motor functions—and is routinely used prior to neurosurgery to protect those regions. Her readings on the scans, she said, were consistent with Koch’s rating of pain intensity when he squeezed the ball with his right hand. Hirsch said the fMRI exam offered the perfect, built-in control to bolster Koch’s contention that his pain was not imagined. The movement of Koch’s right arm caused pain, which was indicated in activity of the brain scan, while the other did not trigger similar activity in that part of the brain. Attorney Strassburg was ready to take his evidence to court. Around the time of the Koch case, law professor Adam Kolber was doing some of his own investigating into the use of neuroscience for documenting pain. He published a paper in theAmerican Journal of Law & Medicine that offered a look at how neuroscience might be valuable in the courtroom—not right away, but someday. It raised the legal and ethical issues that would likely result from using the science in court. Researchers have tested methods to document pain since at least the 1960s, according to Kolber. Some employed a process known as thermography, which used infrared radiation to measure surface body temperatures. The temperature was supposed to be an indicator of soft-tissue injuries or other painful conditions. But thermography had a high rate of false positives and mixed results in being admitted as evidence. With the advent of positron emission tomography scanning in the 1980s and, more recently, fMRI scanning, researchers have been better able to record brain activity and have done a number of studies seeking to link the experience of pain to specific regions in the brain. The debate remains over whether that brain activity can be directly correlated to pain. Kolber points out that while malingerers may fabricate their pain, it’s far more common for people who are in pain to modestly exaggerate its intensity in legal proceedings. Even plaintiffs who don’t exaggerate their symptoms may have difficulty expressing the nature of their pain. 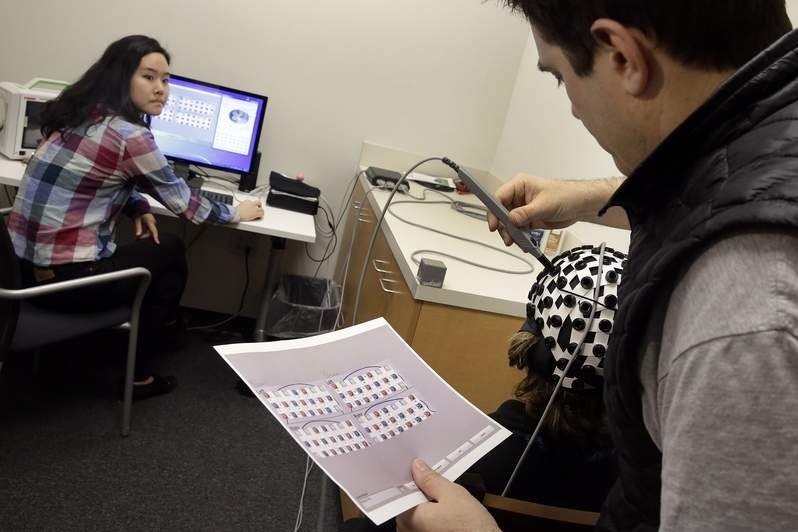 That’s where brain scanning may help those who need it. Attorneys for Western Emulsions were not willing to accept Hirsch’s claim that a brain scan could show Koch had chronic pain. They filed a motion seeking to keep her from testifying, describing the science behind her opinion as “highly questionable, speculative and unproven.” The motion also sought a Frye hearing before Judge Javier Chon-Lopez of the Arizona Superior Court in Pima County to determine whether Hirsch’s testimony would even be admissible under Arizona law. Under the Frye standard, Hirsch’s expert opinion would be admissible only if the technique was generally accepted as reliable in the relevant scientific community. Western Emulsions hired a well-regarded pain researcher to challenge Hirsch’s claims. Dr. Sean Mackey, a pain expert and neurologist at Stanford University, said that the brain activity shown in Hirsch’s scans could have been triggered by any number of factors, including the possibility that Koch was simply thinking about pain. Mackey also suggested that people can “cheat” the scan by imagining their pain was more severe than it was. He had conducted earlier experiments in which volunteers touching a hot plate while in a scanner were able to conjure more intense pain, and thus brain activity, when they watched a video of flames. Hirsch countered in her deposition that cheating is not possible because re-creating sensation in the mind is all but impossible. She also said that she detected no signals indicating imagined pain. Hirsch never had to take the stand. A short time later, Western Emulsions agreed to settle the case for $800,000. The attorney who handled the case for the company did not respond to ABA Journal requests to discuss it. Hirsch says that by accident, she became known as a brain and pain imager. “It’s not something I really wanted to do,” she says. Since then, she has scanned dozens of people, though she’s rarely had to appear in court because most of the cases were settled. One of the lawyers she’s worked with is Michael Flomenhaft of the Flomenhaft Law Firm in New York City, which bills itself as “a neuroscience-focused firm.” Flomenhaft began using neuroscientific evidence more than a decade ago while representing plaintiffs who had traumatic brain injuries from concussions. Flomenhaft began studying neurology, which led him to neuroscience and brain imaging. He met Hirsch when he taught a course in neurolaw at Columbia and began to learn about brain imaging for pain. Michael Flomenhaft. Photograph by Arnie Adler. He was particularly struck by the work of Northwestern University researcher Vania Apkarian, who also has used fMRI to document pain. In one of his studies, Apkarian scanned the brains of people shortly after their back injuries, and again later. Apkarian found they developed chronic back pain but, interestingly, the locations that signaled pain in their brains shifted from areas associated with acute pain to areas where the brain regulates emotions. While fMRI has not been embraced by the scientific community as a comprehensive diagnostic tool to show the presence, or absence, of pain, Flomenhaft says it can show brain activation when a person is experiencing pain, which should be enough for the courts. “We are trying to show a jury what’s there, not make a diagnosis,” he says. “This is validating, objectively, that there is pain and the neuroscience has a really good foundation,” he adds. The doors are indeed opening, albeit slowly, and creating opportunities for private companies to offer brain scanning for lawyers. 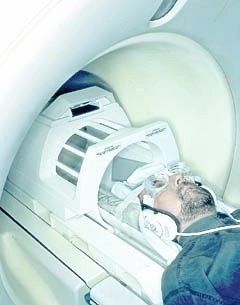 A Ridgefield, Connecticut-based company called Millennium Magnetic Technologies advertises, among other diagnostic services, brain scanning to validate the presence of pain. Functional magnetic resonance imaging. Carl Koch’s brain scan nearly two years after the accident shows that he experienced extreme pain when moving the injured side of his body, according to neuroscience specialist Joy Hirsch. The Rosetta process was created by Dr. Donald H. Marks, MMT’s chief science officer and founder. While Marks has not published studies that tested large groups of patients at their clinic, he and Levy point to a list of studies dating back decades that have linked fMRI with pain detection. Though critics say that single case studies don’t equate with studies of larger groups with controls, Marks says that the body of pain-imaging research validates his work on individuals. And defense attorneys are taking it seriously. MMT has provided pain imaging reports for about a dozen plaintiffs so far, and all the cases have ended in settlements. The Daubert criteria Chen refers to is a federal standard (adopted by some states) that requires judges to serve as gatekeepers to determine whether expert testimony is based on valid science, whereas Frye relies on the general acceptance of the science by the relevant scientific community. In the years since Koch’s case, researchers say, they’re even closer to reliably documenting pain through brain images. Mackey at Stanford has done studies using fMRI to detect brain activity in people who were subjected to varying degrees of heat on their forearms. In 2010, Mackey had eight volunteers lie in an fMRI scanner while subjecting them to a heat probe, and he used an algorithm machine to identify patterns of brain activity when the heat was high or low. He then got 16 more people to lie in the scanner who were stimulated with either high or low heat, and the images were run through the algorithm, which was able to determine whether someone was experiencing pain with 80 percent accuracy. But he cautioned that the findings were preliminary, and that the experiment was with a small group of participants only in a controlled laboratory setting. In 2013, neuroscientist Tor Wager at the University of Colorado at Boulder led a study in which volunteers were placed in an fMRI scanner while they touched a hot plate. Wager and his team would turn the plate’s temperature up and down and record brain activity associated with the changes in temperature. Then, using another group of volunteers subjected to the hot plate, Wager reported that they were able to predict with better than 90 percent accuracy whether the plate was warm or painfully hot by looking at the brain activity on the scan. But they were measuring acute pain under controlled laboratory settings, which is not the same as trying to measure chronic pain. Hank Greely. Photograph by Tony Avelar. Wager believes that companies offering scans to document pain should be held to standards for accuracy and reliability in the same way that laboratories offering DNA evidence have been vetted by the courts. In addition, much broader studies are needed to test large populations against controls, instead of basing claims on the outcome of individual cases. Amanda Pustilnik, a law professor at the University of Maryland and a faculty member of Harvard University’s Center for Law, Brain & Behavior, believes legal doctrine needs to be changed to reflect that chronic pain is a neurological condition that is very real, even if you can’t prove it with a brain scan. “You can look at an X-ray of a broken leg, but we don’t have that yet for pain,” she says. While neuroscience may not be ready to show an individual has chronic pain, Pustilnik says it has value in the legal setting. She says that experts should be allowed to testify about brain imaging—but that such testimony be limited to educating judges and jurors about the nature and causes of chronic pain—not to suggest that brain images can prove its existence or absence. Hank Greely, a law professor and director of the Stanford Program in Neuroscience and Society, is optimistic that pain documentation through brain imaging is close at hand, but he says it will require passing a Frye or Daubert test for admissibility before it’s routinely accepted in the courts. As these cases move to the courts, Greely says it’s essential that judges become quick studies in complex science. “Very few judges are scientists. It’s not a comfortable position for judges to be in, but they need to educate themselves in the science,” he says. Professor Kolber from Brooklyn Law School raises some vital questions about the future of brain imaging for pain detection. If, indeed, brain scanning can one day objectively document pain, will that data offer a window into how the client will feel in the future? Will its duration and intensity decrease? How should it be compensated? “You’re supposed to get damages that are associated with the actual amount of pain you’re experiencing. But we’re just so bad at doing that we have to rely on rough proxies, many times, for pain,” Kolber says. The prospect of showing Carl Koch’s brain scan to a jury was apparently enough to prompt the settlement. In fact, viewing brain scans has been known to influence jurors regardless of the science behind it, and it leaves some attorneys nervous. Until the scientific evidence of pain detection is considered by higher courts, it’s still a frontier out there. This entry was posted in brain, fmri, legal, neuroscience, news, pain, research and tagged brain, legal, pain, research on February 23, 2016 by bfl2013. What does fear look like in the brain? This entry was posted in brain, fear, news on October 28, 2015 by bfl2013. This entry was posted in brain, hyperscan, neuroscience, NIRS, research and tagged brain, brain function lab, hyperscan, nirs, Yale on June 27, 2015 by bfl2013. Many media outlets covering work in our lab. This entry was posted in brain, neuroscience, NIRS, research and tagged brain, nirs, Yale on June 23, 2015 by bfl2013. This entry was posted in Autism, brain, fmri, neuroscience, news, research and tagged brain, fmri, nirs, research, Yale on June 22, 2015 by bfl2013. Dr. Hirsch was recently interviewed by Carl Zimmer of the New York Times for a piece on Big Think where she explains her thoughts on genius being a physical continuation of humanity’s pioneering spirit. A follow up and continuation to this talk where Dr. Hirsch explores the connections in our brain that make us different and whether people like Einstein are born geniuses or develop from blank slates is below with the link to the original video, full article and transcript here. This entry was posted in brain, neuroscience, research on March 5, 2015 by bfl2013. Original video and source article available from CBS here. This entry was posted in brain, fear, fmri, neuroscience, news, research and tagged brain, cbs, fear, fmri, Halloween, neuroscience, scary on October 31, 2013 by bfl2013. Joy Hirsch was invited to participate in an IO9 discussion today on questions about the brain, imaging, and fear. The results of the discussion are here. This entry was posted in brain, fmri, neuroscience, news, research, Uncategorized on October 29, 2013 by bfl2013. This entry was posted in Autism, brain, children, fmri, neuroscience, news, research and tagged autism, children, neuroscience, research on October 29, 2013 by bfl2013. World Science Festival 2011: Joy Hirsch was honored as one of the top women scientists. Gina Kolata wrote a NY Times article regarding “Women Atop Their Fields” including Joy Hirsch. More info: at World Science Festival page. A pdf is here and a link to the NY Times page is here. This entry was posted in brain, fmri, neuroscience, news, research, Uncategorized and tagged brain, fmri, Gina Kolata, neuroscience, NY Times, World Science Festival on October 29, 2013 by bfl2013. Joy Hirsch and David Pogue interview George Widener in a documentary, “How Smart Can We Get?” The entire documentary can be watched here. 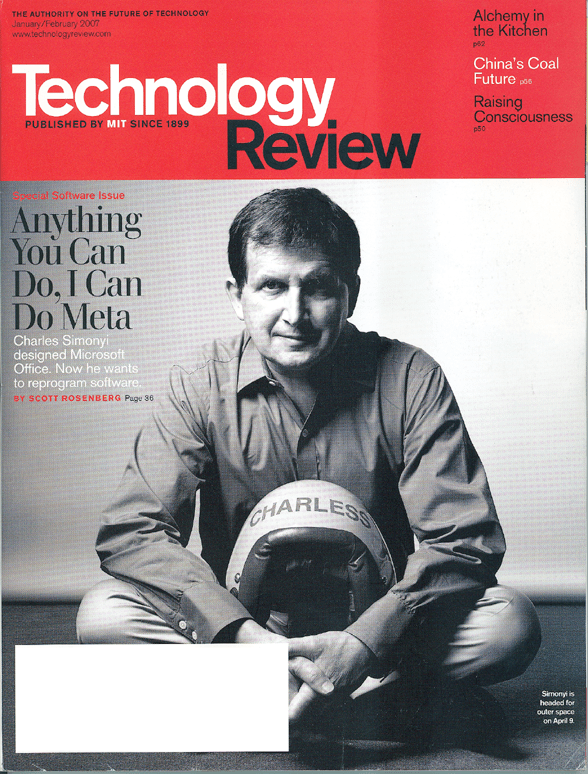 This entry was posted in brain, fmri, neuroscience, news, research, savant and tagged brain, calendar, columbia, counting, david pogue, fmri, George Widener, neuroscience, pbs, research, yahoo on October 29, 2013 by bfl2013. National Geographic: “My Brilliant Brain” series – George Widener calendar calculating savant. This entry was posted in Autism, brain, fmri, neuroscience, news, research, savant and tagged brain, calendar, fmri, George Widener, neuroscience, savant on October 29, 2013 by bfl2013. In this interview, Joy Hirsch explains the need to further fund and conduct research on video game violence prior to making any conclusions. The entirety of the PBS documentary can be found here. This entry was posted in brain, children, fmri, Game, neuroscience, news, research and tagged brain, fmri, media, neuroscience, research, video game, violence on October 29, 2013 by bfl2013. National Geographic: “My Brilliant Brain” series – Susan Polgar, chess Grandmaster. This entry was posted in brain, fmri, Game, neuroscience, news, research, savant and tagged brain, chess, fmri, game, neuroscience, research, susan polgar on October 29, 2013 by bfl2013. This entry was posted in brain, fmri, music, neuroscience, news, research and tagged bach, brain, fmri, music, neuroscience, Oliver Sacks on October 29, 2013 by bfl2013. 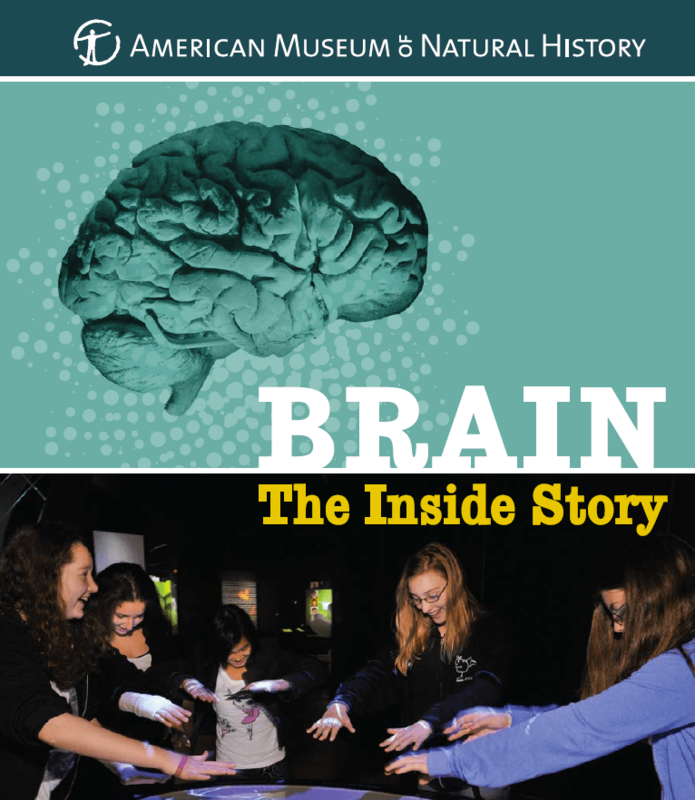 Brain: The Inside Story – Joy Hirsch co-curator of the Brain exhibit at the American Museum of Natural History. This entry was posted in Autism, brain, fear, fmri, Game, neuroscience, neurosurgery, news, research and tagged brain, fmri, language, Museum of Natural History, neuroscience, NYC, research on October 29, 2013 by bfl2013. 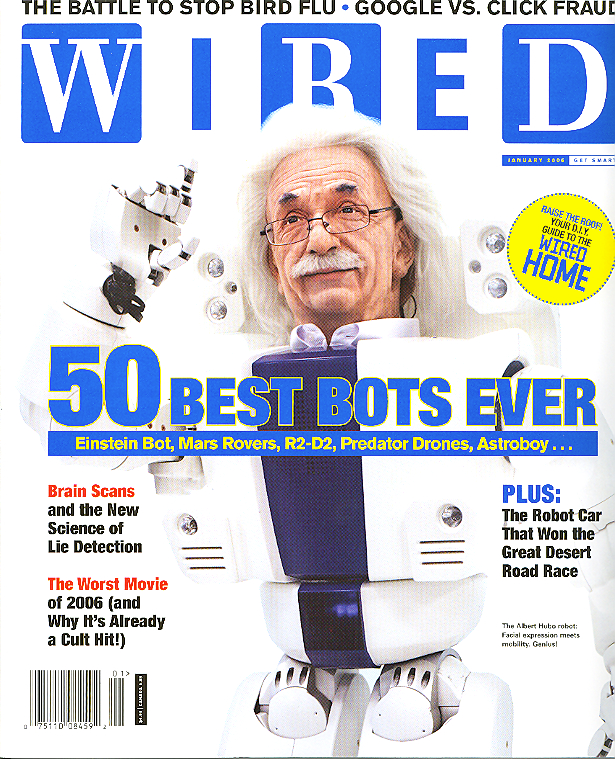 Series of museum, magazine and pop-sci pieces regarding fMRI that Joy Hirsch was quoted in or helped curate. These articles and others can be found and read by clicking the links below. This entry was posted in Autism, brain, children, fear, fmri, Game, music, neuroscience, neurosurgery, news, research, savant and tagged brain, fmri, neuroscience, popsci, research, science on October 28, 2013 by bfl2013. 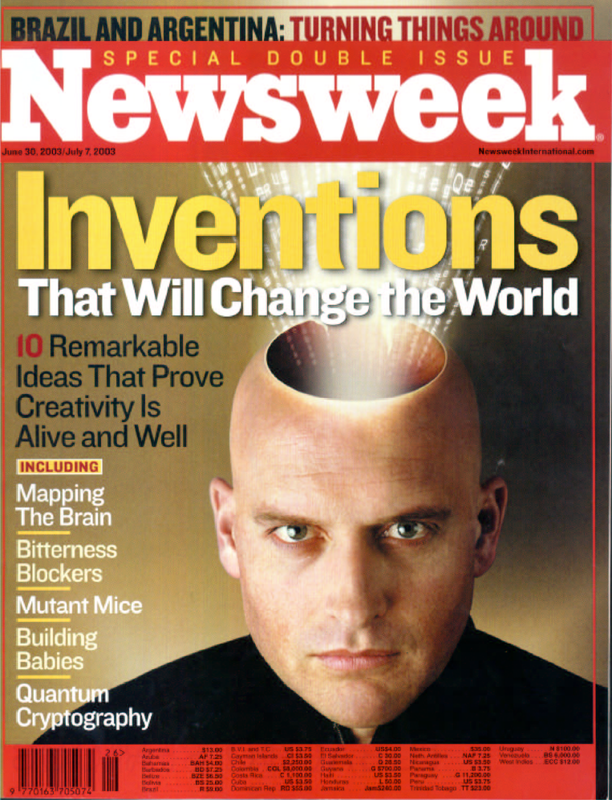 NBC Nightly News Interview with Joy Hirsch regarding fMRI and clinical applications (1996). This entry was posted in brain, fmri, neuroscience, neurosurgery, news, research and tagged brain mapping, clinical, fmri, neuroscience, neurosurgery, research on October 1, 2013 by bfl2013. 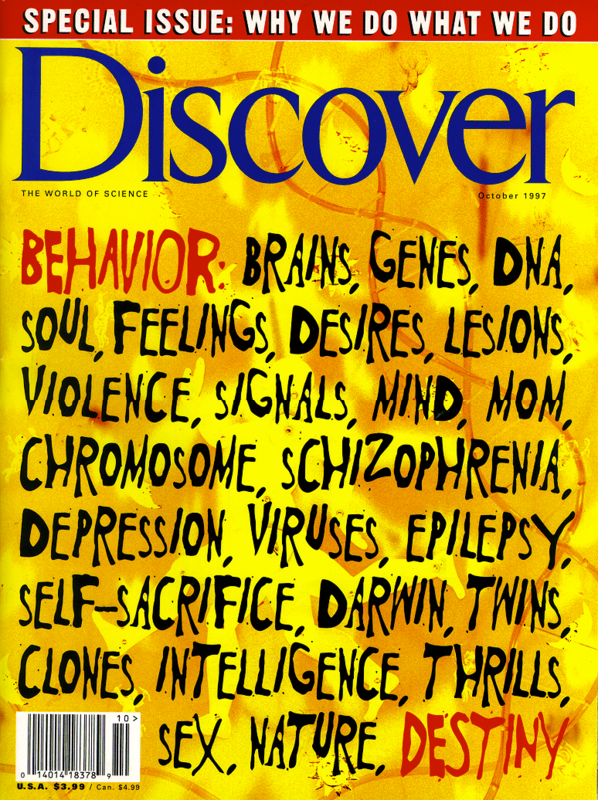 This entry was posted in brain, neuroscience on October 23, 2011 by bfl2013.